Gas and oil is perhaps the biggest industry in the UK and in the wider world too. Trillions of barrels are sold annually and gas pipelines flow across entire continents. However, there are only a limited number of gas and oil fields in the world which can be exploited and here we’re taking a look at some of the biggest ones the UK has to offer both offshore and onshore. Lying west of Scotland’s outermost isles, the Clair field is the biggest in the North Sea. It was first discovered in the late 70’s but didn’t actually start producing meaningful quantities of oil until 2005. In a two-part development program, targeting over 300 million barrels of oil was the first step to be conducted from a rig. The second part is a new rig, Clair Ridge, which has been ‘online’ since 2016. This field is the oldest in the North Sea, and lies between Norway and the UK, with Norwegian boundaries taking the lion’s share. It came ‘online’ in 1979, however was sold within a decade to Statoil which continued to work the field further. The most oil produced in one day was over 850,000 barrels, but the daily rate now is around 80,000. Hidden under 70m of water lies Ekofisk, a Norwegian-based field that has been pumping vast quantities of oil for over 40 years. This area has more offshore rigs and pipelines running into and across it than any other in the North Sea. ConocoPhillips operates this field, but other Norwegian companies also hold around a 60% stake between them. Forties is a UK oil field which lies approximately 180kn to the east of Scotland. Its discovery came at the start of the 70s and production started 5 years later. An initial haul of ten thousand barrels was taken per day, but by 1979 it had reached half a million barrels daily. It’s billionth oil barrel was made in 1982, and the two billionth in 1989. Under 100m of the North Sea, 140km to the north of the Norwegian city Bergen lies Oseberg, a shelf discovered first in 1979. At first, one billion barrels were thought to be potentially extracted, but that amount soon doubled and more oil was being produced daily than first imagined. Located in the Purbeck district of Dorset, Wytch Farm boasts an impressive title – that of the biggest oil field found onshore throughout Western Europe. British Gas discovered the location in the 1970s and turned the farm into an oil production site, before selling their stake to BP in 1984 – ownership has since been sold once more, this time to Perenco. Production has slowed down since the location’s peak in the mid-2000s, but Wytch Farm continues to generate substantial reserves of oil and gas, which is then distributed nationwide. Anybody looking for job security within the UK gas and oil industry could also do worse than to investigate Wytch Farm – the site has recently had its operational license extended to 2037. Found very close to Goodwood Racecourse, the Singleton Forest Oil Well is believed to be over a hundred years old by now. Unfortunately, controversy has dogged this location; back in the 1990s, accusations of pollution were levelled against the operators of the oil well, causing leaks throughout the nearby territories. Thankfully, following investigation, these issues have been rectified and the site remains safe. Found in Alton, Hampshire, the Humbly Grove Field is a major production site for gas and oil. The field has been in use since the early 1980s, when Carless Exploration Ltd discovered the territory and a small oil reservoir below it. The site has changed ownership on a handful of occasions since and is currently under the control of Petronas – though this company have rebranded as Humbly Grove Energy Ltd. The location continues to produce oil, and store gas reserves that service the entire country, to this day. Lincolnshire, Nottinghamshire and Leicestershire are all served by this area, which comprises of a number of different oil and gas fields throughout the Midlands. This territory has long been considered a key component of the UK’s oil industry as the very first field was tracked down in Derbyshire in 1919- and so it remains to this day. Amidst the many resources that can be found in this area is the Welton oilfield, which is second only to Wytch Farm in the country in terms of size and prestige. BP took a keen interest in the area for many years before selling off much of their ownership. This entry was posted in News on January 22, 2018 by admin. Like any employment sector, there is a legion of different roles open within the gas and oil industry. Anybody with a background in medicine, IT or law, for example, will find vacant positions on many rigs, as will contractors from within the building sector such as scaffolders. The position of Roustabout is the lowest ranking on an oil rig, but it’s also the most accessible; it’s an unskilled position that does not require particular qualifications, and it can be a way of gaining experience and access to higher positions within the oil rig hierarchy. What a Roustabout will need, however, is plenty of endurance and strength. This is a manual labour position that may lead to shifts of up to twelve hours and overnight work. Typical tasks include inspections of pipes for imperfections, digging and cleaning up the surface area of where other team members will have been working. From one extreme to the other – an Installation Manager is the highest-ranking staff member of an oil rig. The role was initially conceived in the aftermath of the Sea Gem disaster of 1965, meaning that one individual holds dominion over all aspects of the oil rig. The Installation Manager will be expected to make daily rounds and ensure that everything is in full working order, acting with complete authority over the rest of the crew. As you may imagine, it takes a great many qualifications and plenty of training to obtain the role of Installation Manager; anybody hoping to hold this position will need to be registered with the UK Health and Safety Executive. The role of a Geologist is to locate exactly where drilling should begin when searching for oil and/or gas, before overseeing the process and offering advice on how to go ahead. Any form of rock found on-location will also be studied and classified in detail, ensuring that a qualified Geologist will be able to provide a great deal of information on the drilling site and surrounding area. A Quantity Surveyor is more often found on a building site, but the role is just as critical on an oil rig. This role will involve overseeing all aspects of the cost and contracts utilised on the offshore location, in addition to acting as the liaison between customers and employees. Just like in the construction industry, the biggest concern of a Quantity Surveyor will be to keep the costs of running an oil rig as low as possible without sacrificing quality and safety. As the name suggests, a pipefitter will be required to follow instructions laid down on paper by engineers to ensure that pipes are installed in a safe and secure manner. A pipefitter will make sure that all part numbers are labelled and present before beginning assembly, cutting every element of the pipe into the correct shape and size ready for welding. This is, of course, where a welder comes in. This physically demanding role involves attaching all these metals together and ensuring that they will stand firm in the face of any pressure from the elements or ravages of time. A diver based on an offshore oil rig will be responsible for all aspects of work that take place underwater. This could include inspecting pipelines, underwater welding, taking photographs for presentation to other members of the oil rig crew, or installing new pipelines/decommissioning existing lines that are no longer functional. Naturally it can be dangerous work, but this is reflected in the substantial average wage. There is a wide array of different engineering positions open on any typical oil rig. Naturally, the appropriate qualifications will be necessary – and some work experience will often be preferable. A Drilling Engineer may not have to be based on-site at an oil rig, but many rigs may choose to bring someone of such a position in to act in a supervisory capacity. The key responsibility of such a role is to plan, design and expense all elements of the enterprise connected to drilling. A Planning Engineer will observe and report on all the tasks that take place on an oil rig, ensuring that work does not fall behind schedule and acts as a point of liaison between employees of all levels. Like a Drilling Engineer, a Planning Engineer may not have to be on-site at all times. Subsea Engineers work on the apparatus used by divers on an oil rig, ensuring that materials used for underwater activity are fit for purpose. These engineers will design the equipment, install it where necessary, and maintain it over time. There are more than just drills involved in working on an offshore oil rig, and the role of Marine Engineer is to make sure that any boats, ships and anything else that any employee may need to use are in full working order – designing and building more if required. With all kinds of equipment in use on an offshore oil rig, it will require the attention of an expert to ensure it all works to full capacity. If something needs to be fixed or replaced, a Mechanical Engineer will often be the first port of call. Whichever role you feel most suited for, a career in the oil and gas industry is sure to support you in the short-term, plus give you a range of transferable skills for future employment opportunities. 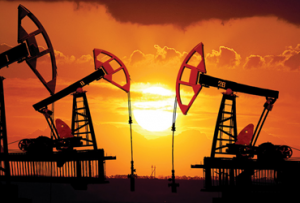 Working on an oil rig in the UK or further afield can prove very lucrative for individuals. Long hours of high pay for weeks on end is definitely something to be coveted, but unfortunately working on an oil rig will always be a risky enterprise and accidents inevitably. 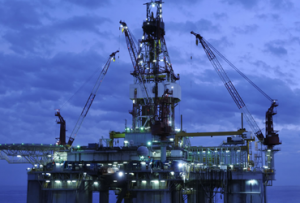 Thankfully, fatal accidents are an increasingly rare occurrence when it comes to oil rigs. The most recent incident came in 2017, when an offshore rig populated by Norwegian BP employees left one individual dead. On an oil rig there are many components at work, and you’re essentially channelling flammable materials all around you. Each time a disaster happens, engineers learn something new about how to prevent disasters and make the oil rig as a whole a safer environment to work in. Here we’re going to take a look at some of the most famous oil rig disasters of all time and their statistics. Don’t worry though, oil rig accidents of this magnitude are few and far between, so if you’re thinking of entering the profession don’t let it put you off! The Sea Gem Disaster was a dark day for the British gas and oil industry, marking the capsize of the nation’s maiden drilling platform based off-shore. There were 32 crewmembers aboard the Sea Gem, but in December 1965 the legs of the rig buckled under the pressure of the North Sea and caused it to sink. As a result, 13 were killed and five more sustained serious injuries. Thankfully, RAF and civilian ships were able to rescue the remaining employees of the disaster before any lives were lost. Metal fatigue was blamed for the incident, and as a result it was agreed that in future regular inspections would take place to avoid a repeat of such an incident. Alas, the Piper Alpha Disaster was yet to unfold and once again change the face of oil rig safety in Britain. The South China Sea was the location of the Seacrest Drillship Disaster, which unfolded a little south of the Thai capital Bangkok. Unfolding in 1989, the drillship was capsized in the event of a natural disaster – Typhoon Gay. Waves of 40 feet were recorded on 3rd November 1989, which was the day of the incident. However, some degree of blame has since been apportioned to a higher centre of gravity that was considered not entirely safe and potentially not seaworthy. In addition, events unfurled so quickly that there was no time to send a distress signal and request help. Unfortunately, the Seacrest Drillship Disaster proved to be one of the most statistically lethal accidents in the history of the industry. There were 97 crewmembers aboard the ship, which had been in use for over eight years, and just 6 of them survived – rescued by the Thai military and passing fishing boats once a helicopter spotted the capsized ship. This 1982 incident unfolded in February 1982. It was a storm that caused the problem, with severe winds that reached up to 120mph forcing the Ocean Ranger oil rig to capsize on the Newfoundland coast in Canada – under waves that reached heights of 65 feet. Despite the Ocean Ranger being one of the largest rigs in the world at this point in time, it could not withstand the pressure of Mother Nature’s onslaught. A window was smashed, which allowed water into the rig – water that critically reached the ballast control room. It took around two hours before the damage was noticed, and by this point it was too late for anything to be done about the situation. Attempts were made to abandon the rig, with only 36 crewmembers managing to make their escape on a solitary lifeboat. 20 employees ended up in the water before the oil rink even finished sinking, and once it capsized in full many more souls were drowned. In the end, 84 people lose their lives in the Ocean Ranger Oil Rig Disaster. The most infamous oil rig disaster of all time occurred in July 1988, when the Piper Alpha Disaster claimed 167 lives after a gas leak caused a major fire. Fire remains the most common cause of fatal accidents in such settings, followed by slips, trips and falls, falling objects and electrical faults. The leak stemmed from a condensate pipe, which had earlier been removed as part of a standard maintenance job. While the open area had been sealed as a temporary measure, which was perfectly safe in principle, the work was not reported to the night shift workers. When another gap pump on the rig tripped later that evening, a crewman switched on the previously repaired pump and gas began to seep throughout the oil rig. This was only going to end one way – numerous locations throughout the rig began to catch fire, and eventually the blaze raged for over three weeks. The crew abandoned the oil rig, but only 61 people survived. The severity of the Piper Alpha Disaster sparked a complete rethink of the safety profile of the gas and oil industry. The Offshore Industry Liaison Committee trade union was forged as a result of the incident, and a statue memorialising those who lost their lives still stands in Aberdeen. Perhaps most importantly, comprehensive safety assessments are now conducted in every offshore workplace. Most oil rigs will bring in external experts to ensure that everybody is able to complete their tasks in a safe and secure manner. This means that you can rest assured that, despite being a high-risk environment, working on an oil rig is comparatively secure – just ensure that you follow the appropriate safety protocols laid out by law and your employers. The gas and oil industry is widely considered one of the most lucrative in the world, and there are certainly a number of high-paying positions available wherever you decide to work in the world. It’s no secret that gas and oil power the world and have done for some time. Without oil rigs and gas pipelines, and the millions of people who are employed globally to maintain them, there would be virtually no transport. There are more than 1 billion cars in the world, and 98% of them all rely on the oil flowing from places like Saudi Arabia, the USA and Russia. Naturally, if you’re going to earn the big bucks in such a setting there will be sacrifices necessary. 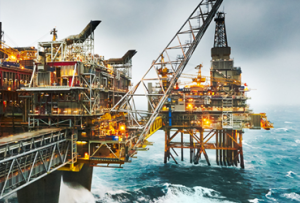 Most positions require you to be based on-site at an oil rig and deal with some harsh weather conditions, and the hours are often long and tiring. However, with this mind, contracts are often shorter in duration. Many people that work in the gas and oil industry choose to take a contract and earn a substantial wage before taking a career break, returning to a new position when they feel suitably revitalised. Completion Managers are the final port of call for any matter relating to the work that takes place on an oil rig. They will be involved in every element of the task, from beginning to very end – meaning that it carries a burden of responsibility as large as the salary – pitching in and lending a hand where necessary. Drilling Managers will oversee most of the engineering responsibilities, maintaining safety and efficiency throughout the process. Project Services Directors act as the liaison between every member of the oil rig team and anybody else that may be involved – including shareholders or investors that have an interest in the oil found. Subsea Managers are responsible to assessing the work taking place under the surface, ensuring that all work is safe and efficient. As you’ll see, you’ll have to move offshore to earn a truly spectacular wage, though most contractors within the UK also earn a comparatively comfortable living – especially when bonus payments and overtime is taken into consideration. Even working as a Roustabout straight from an apprenticeship could earn you £18,000 as a starting wage, with great potential to make up to £30,000 once more experience has been gained. According to UK employment experts Reed, typical popular positions within the gas and oil industry can expect to take home the following payments. Offshore Driller – £30-50,000, varying based on your level of experience. If you are interested in any of these roles, you should know the following about them when choosing which college or degree subjects you are going to take, or before entering into an apprenticeship. Gas Engineers will need to understand all facets of appliances that use gas – including the installation and repair or units. You’ll need an appropriate degree to obtain this role on any oil rig. Offshore Drillers will be responsible for active drilling beneath a sea bed in search of more natural resources. You can enter this field of work by training up as an apprentice, or by training on the job having entered the industry in another role. Petroleum Geologists will need to be fully trained as a geologist, and act as the key port of call for locating safe and fruitful locations for drilling and studying the terrain. Pipeline Engineers may be entitled to work offshore in an advisory capacity, but their role is pivotal in the safety of all elements of work on an oil rig. Oil Traders are the salespeople of the industry – they will buy and sell reserves of the black stuff to interested parties. An external company usually employs these individuals, so experience is a must. Risk Managers hold similar responsibilities to quantity surveyors – experience in the construction industry is essential, as this role is designed to minimise cost. 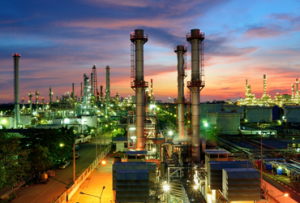 Refining Engineers must be experts in all matters pertaining to fossil fuels, so a Bachelor’s degree in the field is hugely important – as is a determination to stay on top of developments in the industry. Subsea Engineers require the same level of education, and the same dedication to all things connected to underwater work. Completion Engineers get to work once a Subsea Engineer has completed their tasks, adding the finishing touches that may be required. Drilling Consultants need not even consider applying for a role without vast experience and a stellar reputation within the industry – they will oversee just about everything that takes place on the oil rig. As you can see, there are multiple jobs in the oil and gas industry, each of which requires a different set of skills. Apprenticeships are a great way to get your foot in the door of this industry, and always try to speak to somebody who is working, or has worked, in the sector you wish to apply for. This will give you a first-hand insight into what you can realistically expect.